When you have a small business, giving it an online presence can help to boost sales and increase credibility. Any time you want to build a small business online, choosing the right web hosting company for all of your web hosting needs is essential and can mean the difference between experiencing success online or driving potential customers away. Knowing how to choose the right web hosting company for your small business will give you the advantage over other businesses who are not being properly presented and promoted online. One of the most popular options available for those who are seeking small business web hosting is to find shared hosting packages. Shared web hosting is often the least expensive choice when you want to begin hosting any type of website, but it also has drawbacks compared to dedicated hosting and virtual private server options as well. Shared hosting requires your website to be hosted on the same server as other websites with various clients, which is often out of your control. Although the prices of shared hosting are minimal compared to using your own dedicated server or managing a server yourself, the speeds can vary greatly depending on the number of users who are on the server your website is hosted on at all times. Dedicated hosting is ideal if you are expecting a large volume of traffic on your site regularly, as it allows you full control over one server. When you lease your own server, it may be more expensive but it also gives you more freedom and does not require you to share the space and bandwidth with other individuals and businesses as shared hosting requires. If you want to have your own private server online for your small business, consider a VPS, or virtual private server for your web hosting needs. A virtual private server falls between shared hosting and dedicated hosting, as it allows you more freedom and control over the hardware and software for your site but also gives others the opportunity to host their own site on the same network. It is essential to compare reliability and uptime of the web hosting companies you are interested in before you choose the right option for you. Ensuring your web host has positive reviews and testimonials from current and past customers will give you more confidence whether you are signing a contract or paying for your web hosting services on an ongoing basis. Read reviews and testimonials thoroughly on other websites before you choose the web host that is right for you and your business needs. Always search for a web hosting company that is capable of guaranteeing your website will be up 99.99% of the time. Working with a web hosting provider or service that offers 99.99% uptime guarantee will keep your site up at all times and give you peace of mind even when you are consistently monitoring the site at all hours yourself. Review the type of control panel options you have available before selecting a web host for your small business. Many web hosting companies provide a complete control panel that will help you to instantly access your files, upload pages and view your site’s bandwidth usage and statistics. Additionally, some control panels allow you to quickly add and install new plugins and tools for your business, including content management systems and eCommerce software. When you have an extensive control panel, managing everything about your website becomes easier and more manageable without requiring you to use a FTP (file transfer protocol) program and without having to understand coding and programming yourself. Search for a web hosting company that offers unlimited bandwidth usage for small businesses and for larger companies as well. If you pay for bandwidth by the GB that is used, this can quickly add on to the overall cost of hosting your site, especially as it expands. Be sure to read the terms of usage for your web hosting company before you register for an account. Although some web hosting companies boast that they provide unlimited bandwidth, there are often restrictions and limitations when it comes to truly using unlimited bandwidth as a site grows and expands. Choosing whether you want a server that is running off of Linux or Windows is another choice you will have to make when you want to launch a site for your small business. 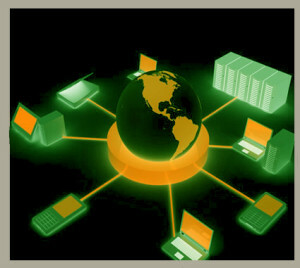 For websites that are going to include PHP or CMS (content management systems), opting for a Linux server is necessary. Using PHP and CMS is highly recommended if you want more interaction possibilities and various engaging plugins and tools for those who are visiting your site. Finding a web host that provides both types of servers is your best bet if you want to get the most out of your web hosting provider. Only work with a web hosting company that provides various ways to contact customer service and support. Customer service is key when you are running a small business online, and it helps to answer any questions or concerns you may have during the process. Find a web hosting company that offers you the chance to communicate via an online support chat system, over the phone or by submitting a virtual ticket using an email system. The more options you have when it comes to customer support, the easier it is to fix any issues or trouble you may encounter while your site is being hosted. Ensuring your web hosting service provides an adequate amount of customer service can ultimately mean the difference between solving your problems and being stuck with a web hosting provider that is unreliable and unable to help you any time you are in need of assistance or help. The more you know about web hosting for small businesses, the easier it is to manage your online hosting accounts while ensuring you are getting the most for your company. The better your web hosting company is able to provide for your business, the more customers you will be capable of reaching at all times, regardless of what you are selling or providing.